Product categories of Glass Fiber, we are specialized manufacturers from China, Glass Fiber, Lab Glass Fiber suppliers/factory, wholesale high-quality products of Disposable Glass Fiber R & D and manufacturing, we have the perfect after-sales service and technical support. Look forward to your cooperation! 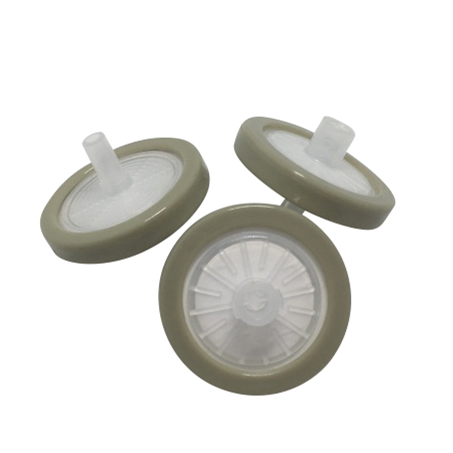 Our(CLS) Glass Fiber Syringe Filters act as a valuable prefilter to extend membrane life with viscous samples. High quality and cost effective syringe filters are available in a broad range of membrane materials with sterile and non-sterile packaging options.For hard-to-filter samples such as tissue culture media or samples with large particulate loads.